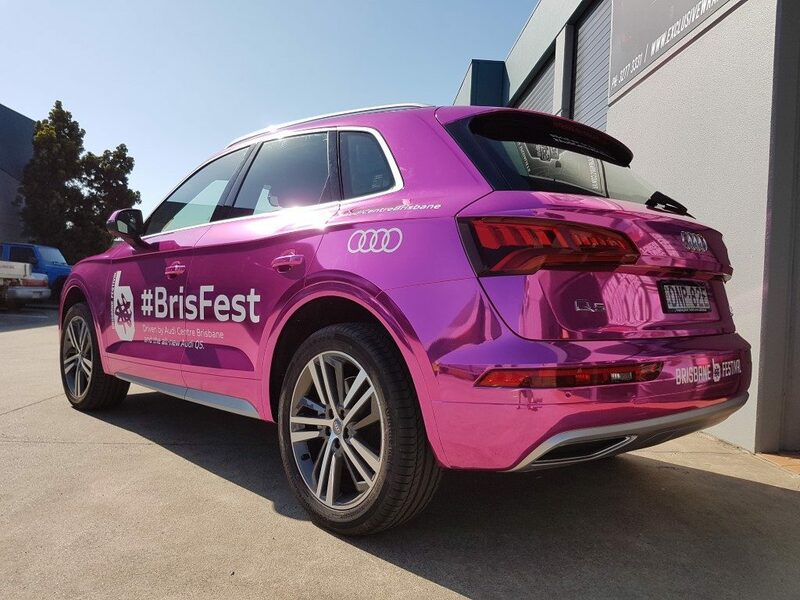 In 2017 and 2018 we had the pleasure of working closely with the team at Brisbane Festival and Audi Centre Brisbane to put together some outstanding wraps for their promotional vehicles. 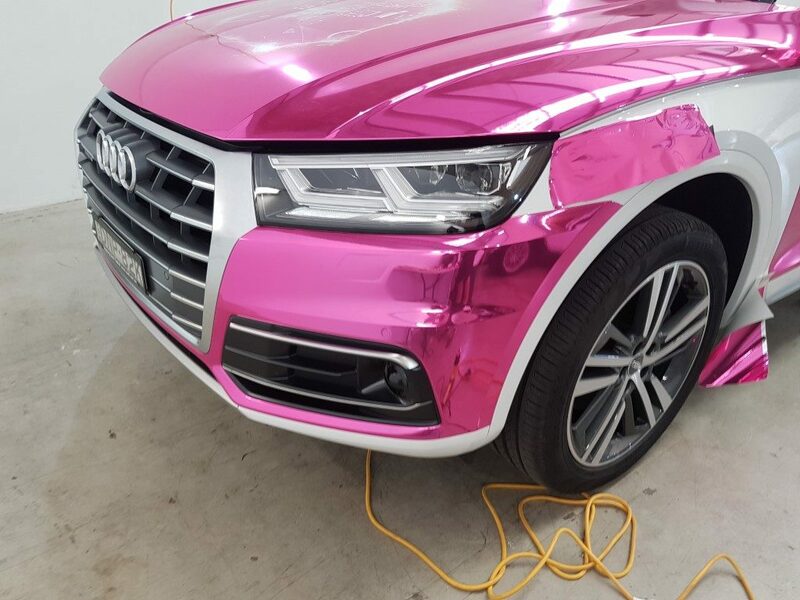 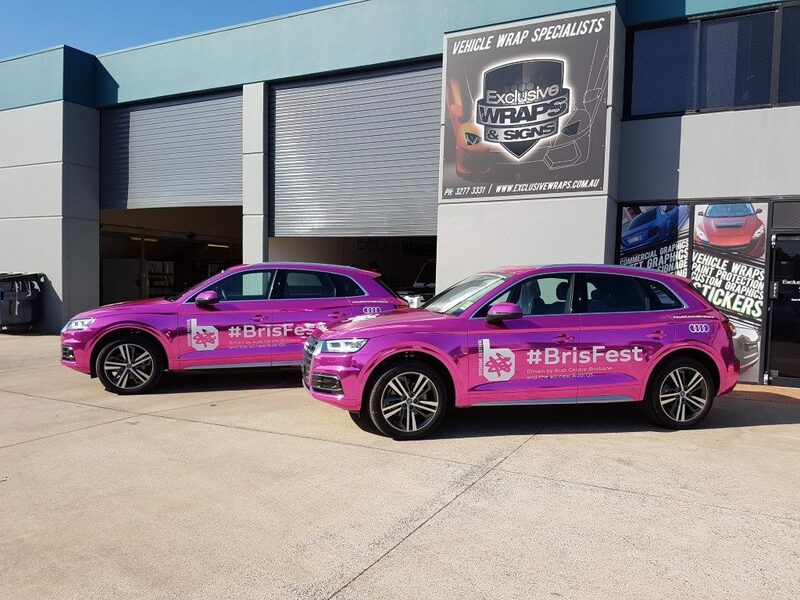 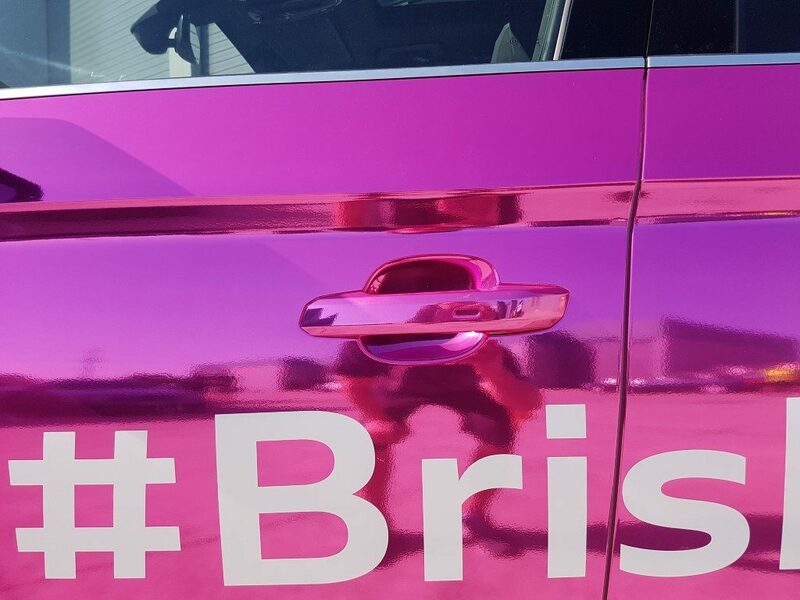 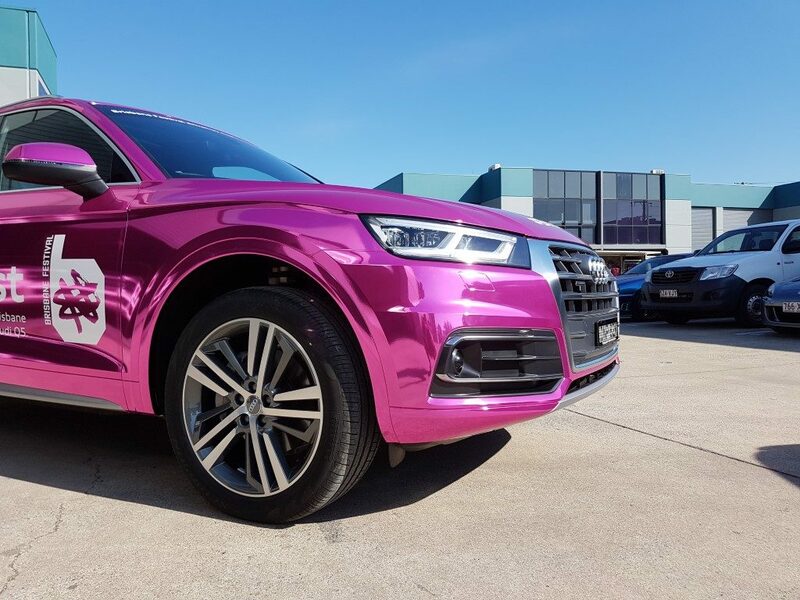 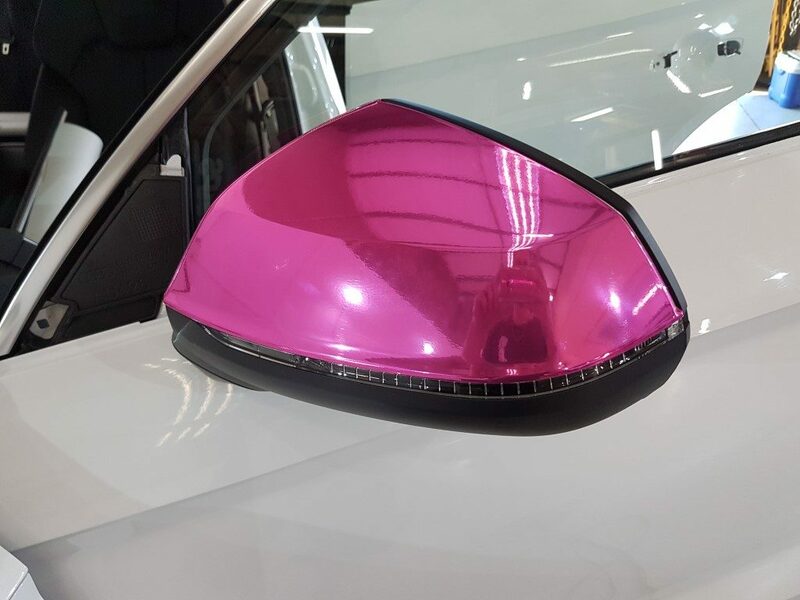 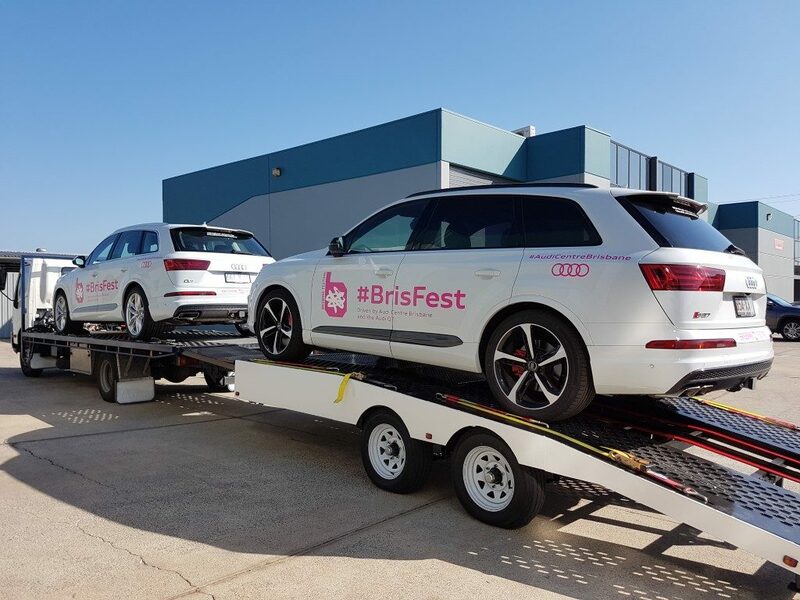 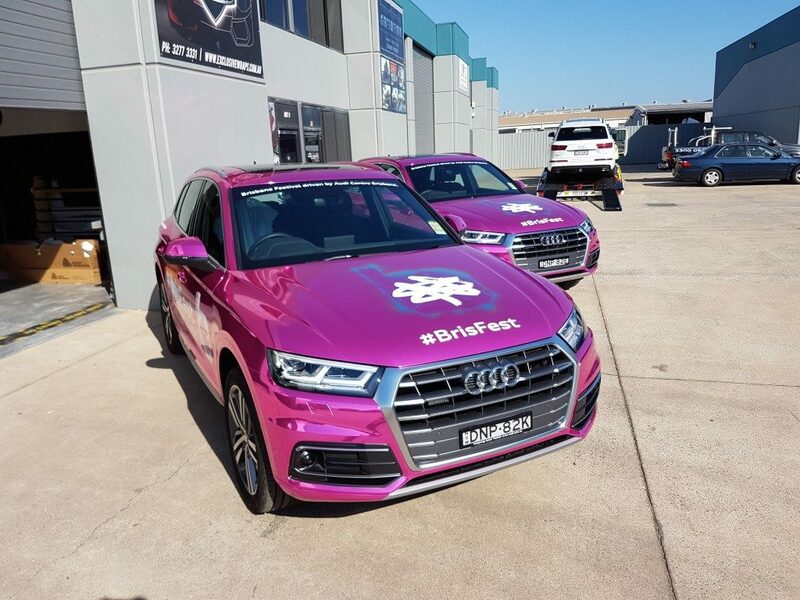 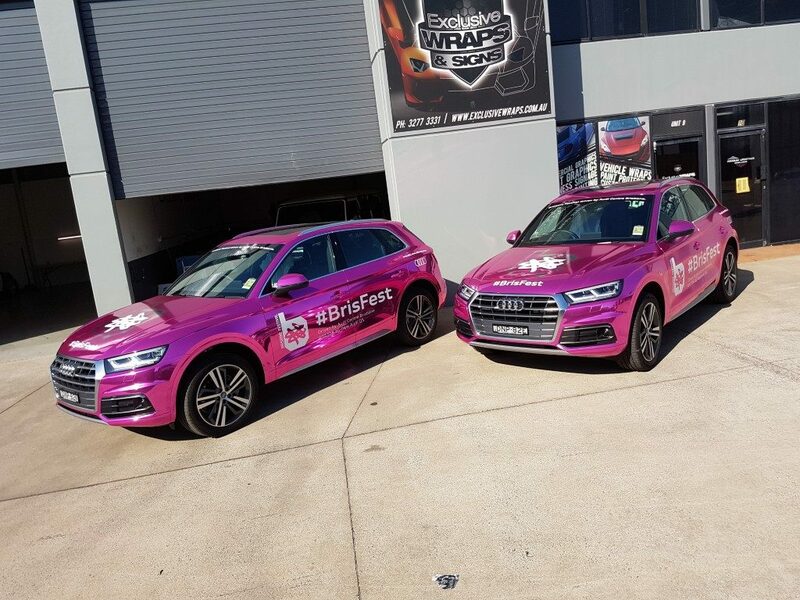 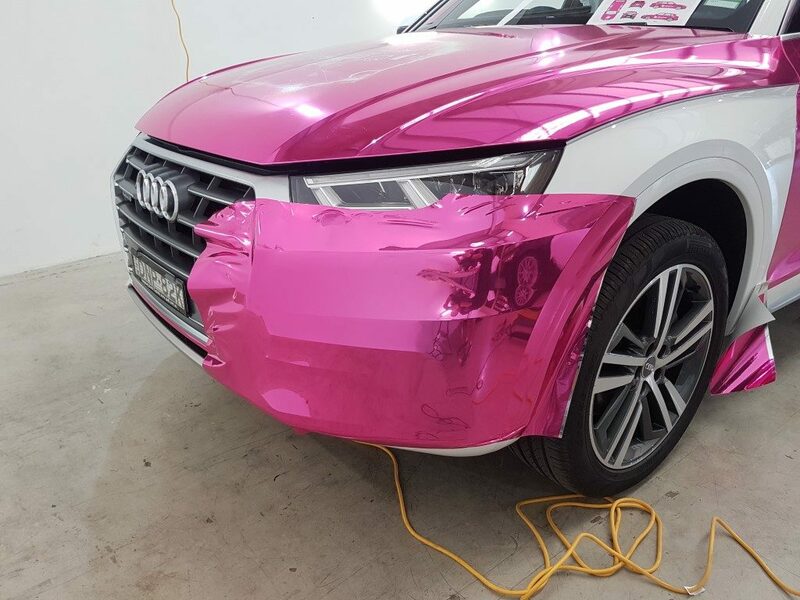 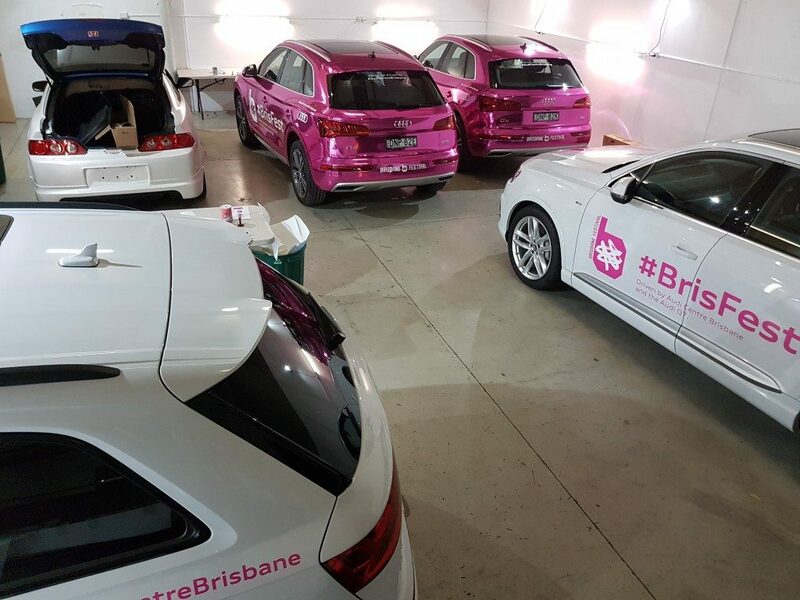 The job consisted of 6 vehicles, 4 white Audis with pink printed and cut text and logos, and 2 Audis fully wrapped in a custom Pink Chrome film to match the BrisFest theme. 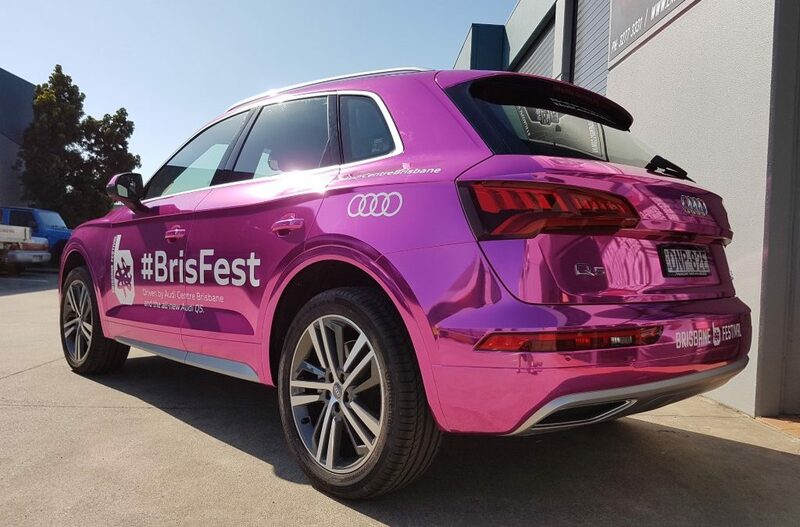 The result is some super eye catching promo vehicles that are used over the course of August/September to highlight the events of Brisbane Festival.